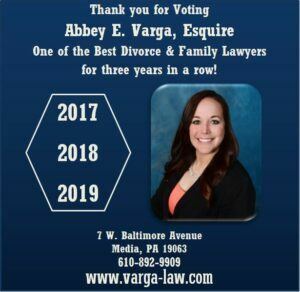 We are happy to announce that The Delaware County Daily Times has named attorney Abbey E. Varga among Delaware County’s “Best Lawyers” for the THIRD year in a row. The newspaper received thousands of votes in its fifth annual Best Lawyers Reader’s Choice survey, the results of which are to be published in a special section of the newspaper on March 28, 2019. 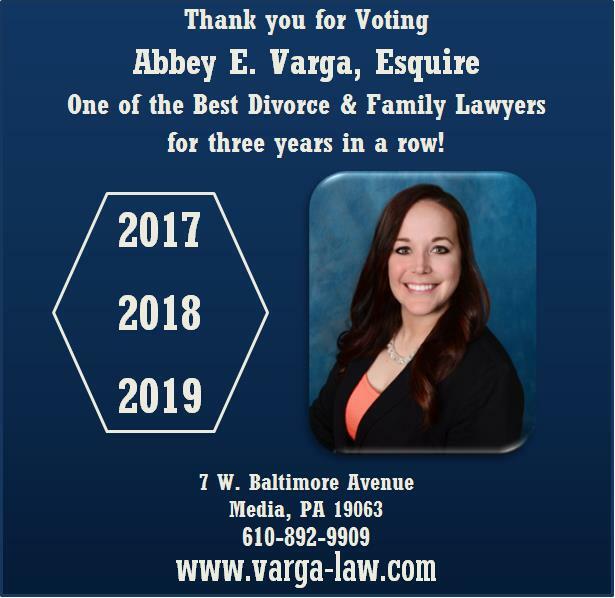 Abbey was selected for her work in Divorce & Family Law and we are incredibly grateful for this honor of being recognized by the community that we serve.